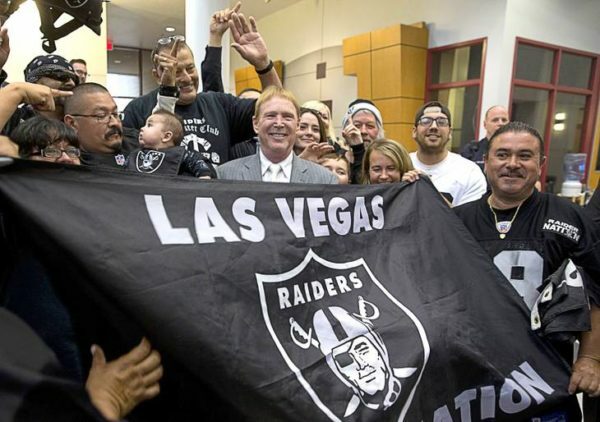 Home Around The NFL Raiders headed to Vegas? Shortly after the announcement that the Chargers would be relocating to Los Angeles, the Oakland Raiders have announced that they are getting the paperwork prepared to file for relocation to Las Vegas. NFL Owners will have to vote on whether or not the Raiders will move or not. Last season the Raiders placed a bid to move to L.A. but the NFL owners chose to vote in favor of the Rams and then the Chargers after the Rams settled for a full season. The city of Oakland and the Raiders have failed in making progress on a new stadium deal. The Raiders had been on the move in the past as the Raiders began their NFL journey in Oakland back in 1960 and then moved to Los Angeles in 1982 and then returning to Oakland in 1994. St. Louis approves $150 million for a brand new stadium. Next articleThe Green Bay Packers win a wild game against Dallas.